We seem to have featured a lot of Yorkshire recently [and what’s your point?…ed] so we now come to another in the series “Top Ten Settings”. This doesn’t have spectacular views – not wide open dramatic spaces that is, but it’s idyllic. And we don’t use that lightly. 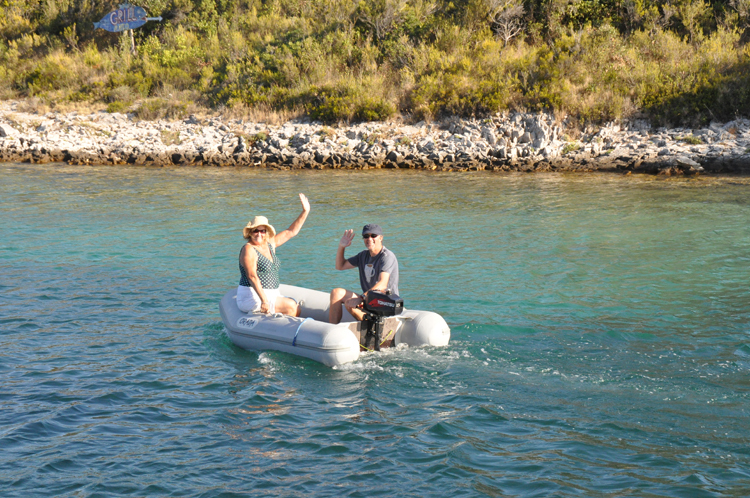 We started sailing in Croatia in 2000, when a life jacket was thought to be more to do with dodging bullets than stopping you drowning. Croatia had only just emerged from a long a bloody internal struggle, as the former Yugoslavia was split between the various factions that Tito had managed to weld together for so many years. The conflict was devastating for the people of all sides – it’s difficult to imagine a civil war in this country now, although those who’ve seen the impact in Northern Ireland can begin to sympathise with this bit of Europe – a place many of us went to on our holidays in the 1960s and 70s. Feelings still run deep and the evidence of the conflict can still be seen, despite huge investment and restoration programmes – bullet holes in many buildings. The Croats secured one of the better deals in the division of the spoils and they have the personality, drive and determination to make the new country work, even if they still have to acknowledge their part in some of the questionable acts of the war. Whew. 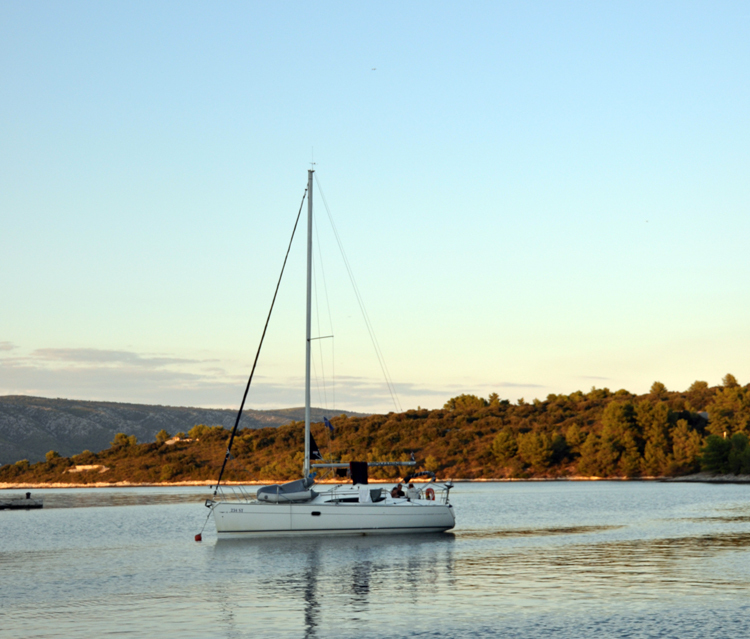 Anyway, compared with experiences sailing in other parts of the Med [like Gr**ce for example], sailing and eating in Croatia is wonderful. 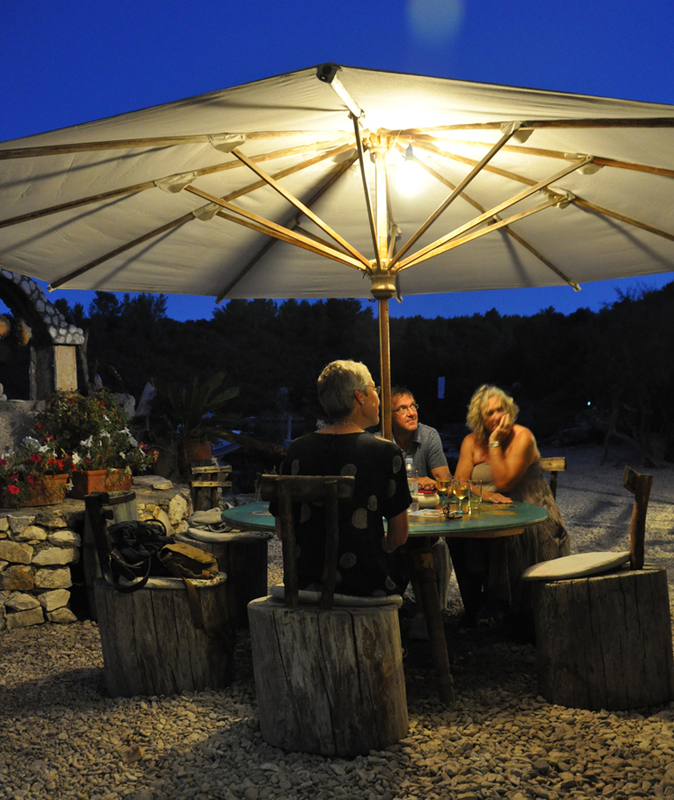 Immediately you notice the restaurants are smart – tablecloths, cutlery and glasses, good bread – and many either produce their own wine or support their excellent local producers, who have yet to export to Britain. There is a pride and determination – you often find the local restaurants producing excellent, high quality food, fish especially. Many examples of fish carpaccio, for instance, with good salads. On our very first trip we discovered this little, largely uninhabited island, just by chance. It has two bays on the north side, both sheltered and suitable as anchorages. 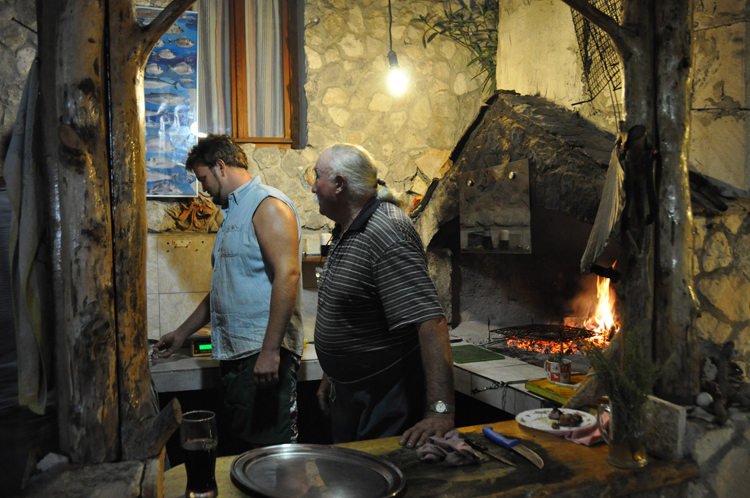 The most westerly, Lovišce, has a couple of seasonal restaurants and our favourite is Grill Rato, perhaps the least publicised, in the western arm of the bay. The water is shallow and is great for swimming. 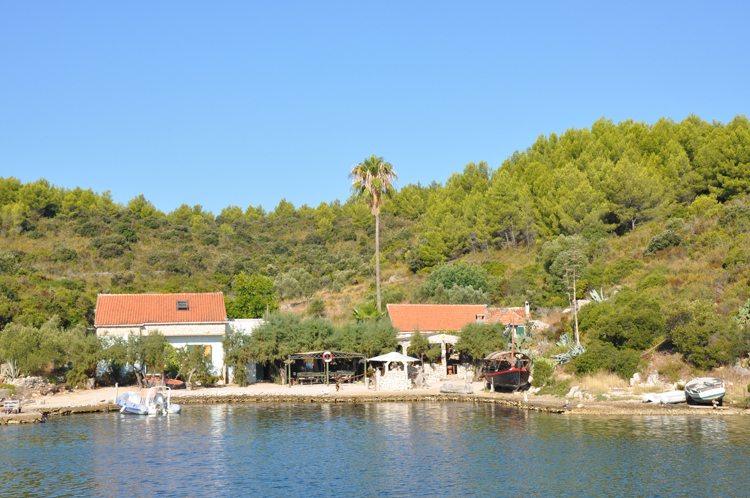 They have 4 or 5 mooring buoys that you can pick up, and then you swim to the shore and book your table. Originally the choice was just “meat or fish” from the Austrian couple and their son, but they’ve expanded a little. Simple fare with their own fish, vegetables, herbs, olive oil and wine. Electricity by solar panel and generator. Go into the “kitchen” and choose your fish or meat. Enjoy. The view isn’t stunning, but the whole experience is magical. Trail your hand in the water and watch the Phosphorescence sparkle as you paddle back to the boat in the pitch dark and admire the stars, in the total silence. Restaurant Rato. No website. Cash only. A table with a view Madam?